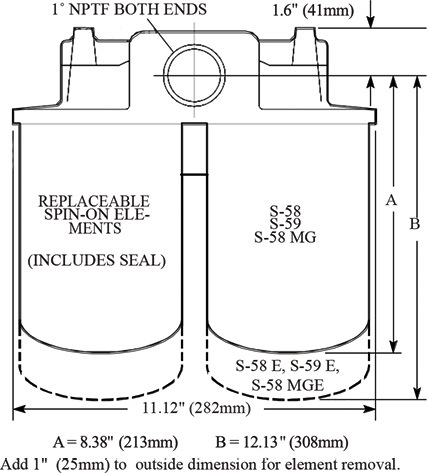 Only 3/4″ removal clearance needed for replacing cartridge. Bypass valve with wide choice of settings. 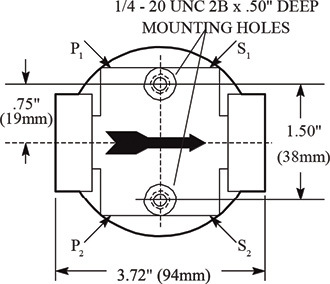 Rugged die cast aluminum head. 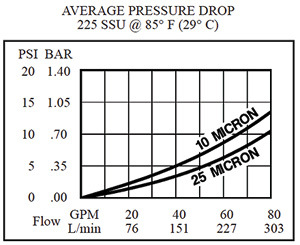 Designed for most return line applications up to 20 GPM (76 L/min.). 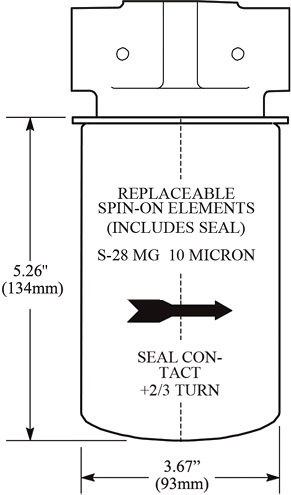 Also can be used for lower flow suction line applications. Compatible with petroleum-based oil in mobile and industrial equipment. 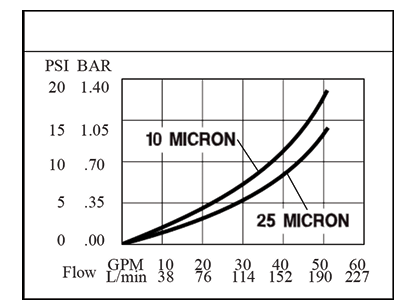 Dirty fluid enters the inlet port and permeates the filtering medium, causing contaminants to be trapped on its outer surface. Clean fluid is then directed through the outlet port. 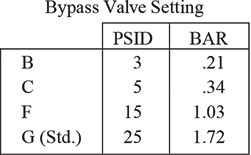 An optional integral bypass valve can be used to protect the element against line surges and high differential pressure due to contamination. Inexpensive and easy to maintain. 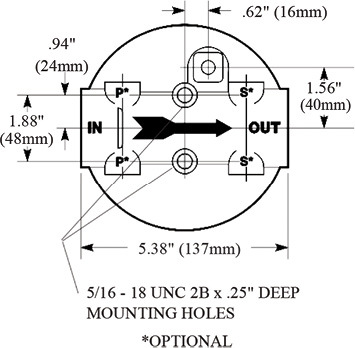 Extended element available for higher flows at lower P.
Optional 1/4″ NPTF gauge ports. 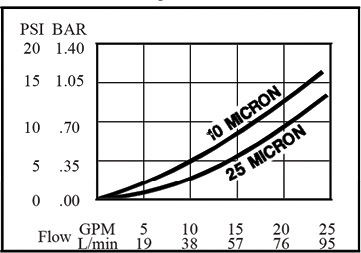 Designed for most return line applications up to 50 GPM (189 L/min.). 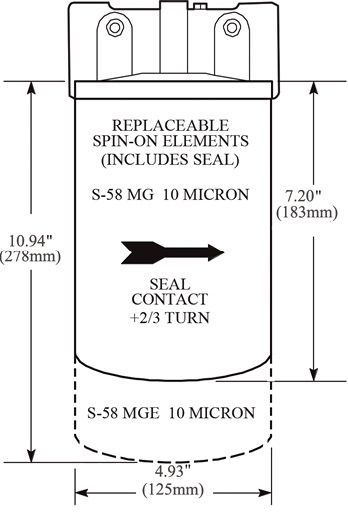 Also can be used for lower flow suction line applications. 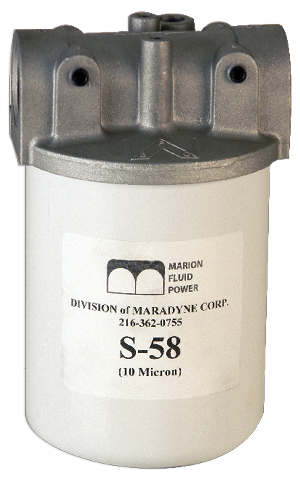 Compatible with petroleum-based oil in mobile and industrial equipment. 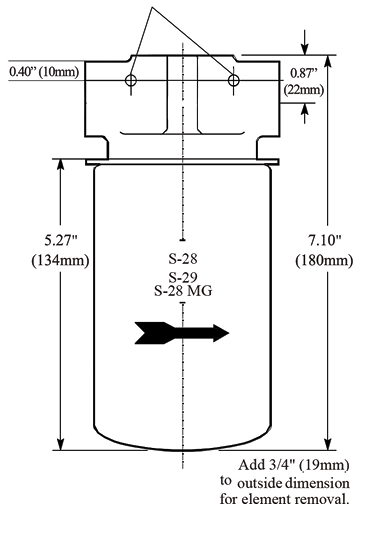 Dirty fluid enters the inlet port and permeates the filtering medium, causing contaminants to be trapped on its outer surface. Clean fluids are then directed through the outlet port. 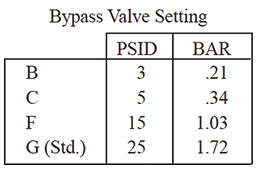 An optional integral bypass valve can be used to protect the element against line surges and high differential pressure due to contamination. 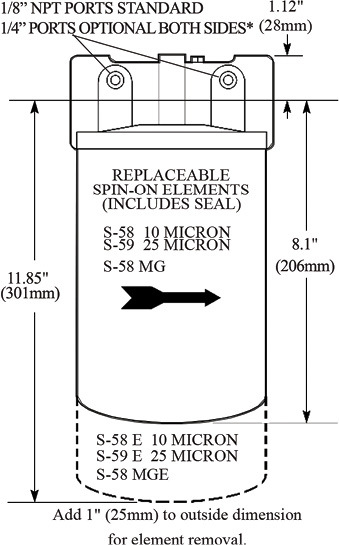 Only 1″ removal clearance needed for replacing cartridge. 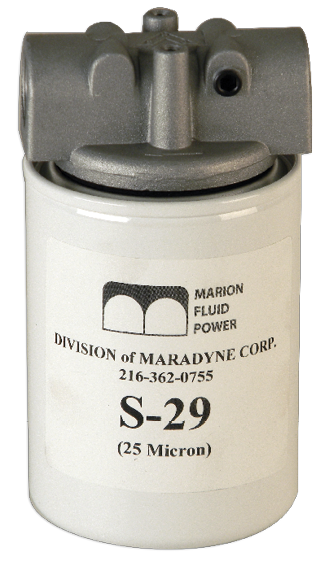 Designed for most return line applications up to 80 GPM (303 L/min.). 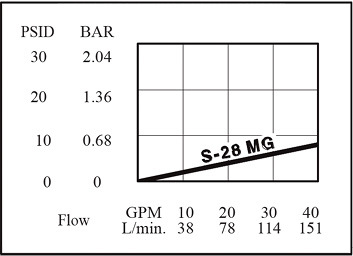 Also can be used for lower flow suction line applications. 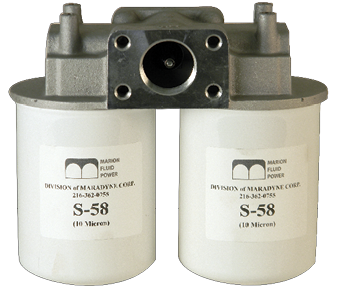 Compatible with petroleum-based oil in mobile and industrial equipment. 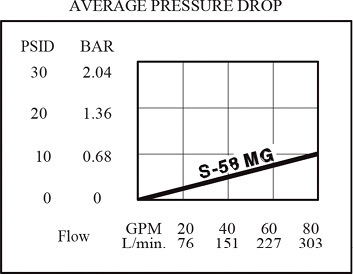 Operating Pressure: 100 PSI (6.89 Bar) max. Operating Temperature: 250°F (121°C) max.